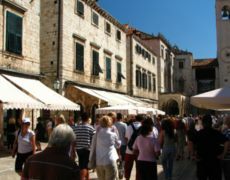 - the crowded green market resounding with the voices of housewives who purchase the fruits of fertile fields of the Dubrovnik surroundings from the women of Konavle, Primorje and Župa - turns into a unique venue of the Dubrovnik Festival in the evening. 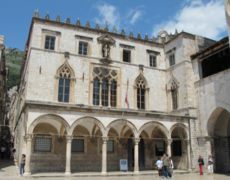 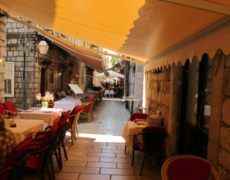 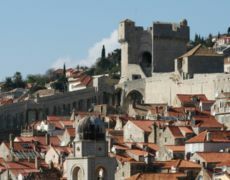 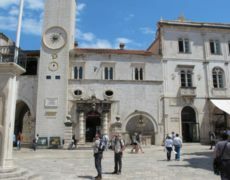 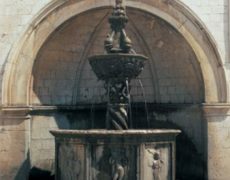 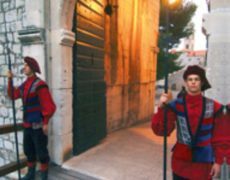 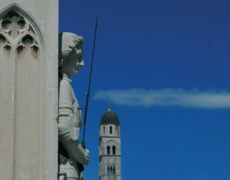 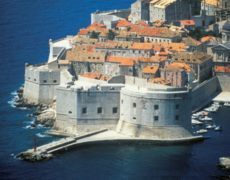 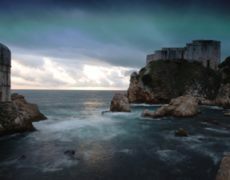 This day-and-night contrast fascinates the visitors immensely, particularly the actors who come to Dubrovnik in summer. 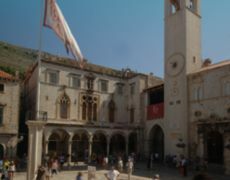 Life in the square goes on at the foot of Gundulićs statue standing in its centre. 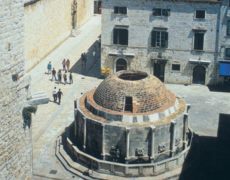 The bronze statue of the renowned Dubrovnik poet Ivan Gundulić, the work of Ivan Rendić, was erected in 1892. 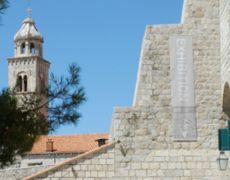 The four low relief panels on the monument base depict the main episodes from Gundulićs most important epic Osman. 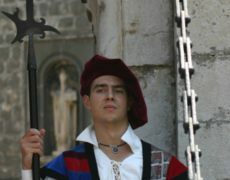  Ivan Gundulić was born in 1589 into an old and respectable aristocrat family. 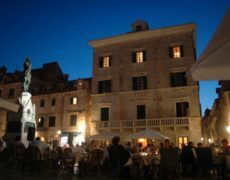 Nicknamed Mačica, he immortalized his fifty-year-long life with a large number of plays and works including Osman, Dubravka and The Tears of the Prodigal Son. 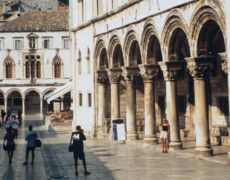 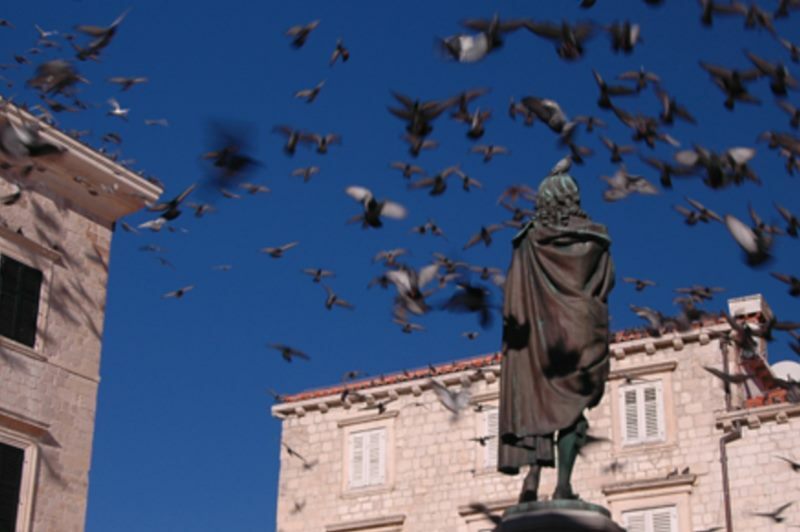 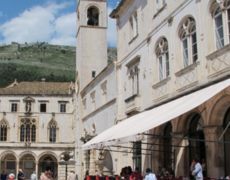 Every day, on the stroke of noon, hundreds of pigeons flock to the famous Dubrovnik poets square, waiting for their meal. 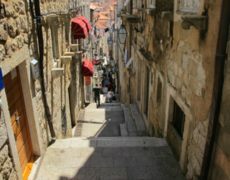 Every year, the funds for ten kilograms of corn are secured in the city budget for the daily feeding of pigeons.